Voith GmbH, among the biggest family-owned businesses in Europe, acquired 25% of robot maker Kuka AG by buying the shares held by Grenzebach GmbH. The transaction was valued at €555 million ($683 million), based on Bloomberg closing share prices. KUKA acquired the engineering services, toolmaking and integration divisions of US-based Utica Enterprises for an estimated $25 million in May, 2013. 300 people were involved in the acquisition. 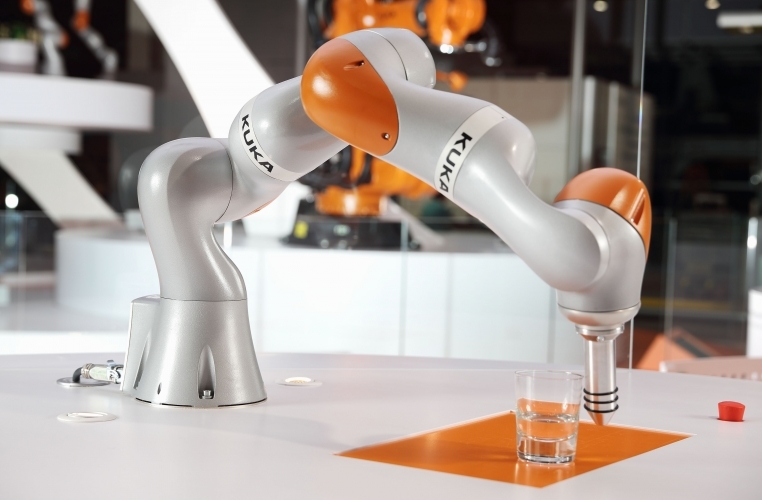 KUKA acquired 51% of the shares of Reis Robotics, a 57-year old family-owned Germany-based robotics provider and systems integrator with sales of $178 million, in December, 2013. 1,300 employes worked for Reis. KUKA acquired Alema Automation SAS, a French automation solutions provider to the aviation industry, in March, 2014, for an undisclosed amount. KUKA purchased Swisslog, a healthcare and materials handling robot company, for $378 million in October, 2014. Grenzebach GmbH was a 30% shareholder of Swisslog at the time of the acquisition. “Kuka is focused on mechanics, electronics, sensor systems and software,” Voith Chief Executive Officer Hubert Lienhard said. “This makes it an ideal, forward-looking investment for us.